Updates | Almighty Agrotech Pvt Ltd. in Rajkot,Almighty Agrotech Pvt. Ltd., a company in the business of manufacturing Plant Protection Equipments since 1977. 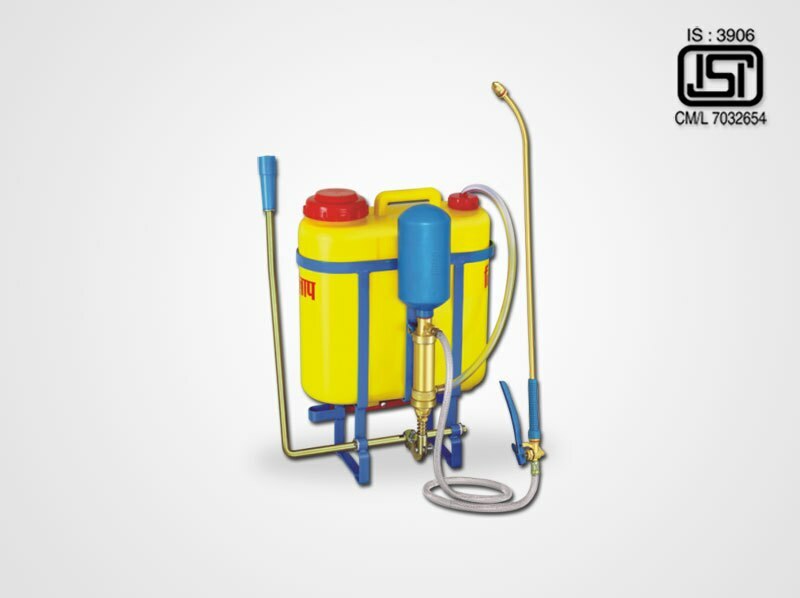 It is a leading manufacturer and Exporter of Agricultural Sprayers and Dusters in India. It is well known for the quality goods it manufactures. Located at Metoda G.I.D.C. with an area of 12,000 Sq. Mt. Land. It posses in-house facilities for Blow Molding, Fabrication, Heat Treatment, Coating, Welding and Brazing, etc. Also have in-house inspection and testing facilities as per I.S.I. standards. Milap K.P.O-1 Outside Plastic Pressure Chamber, Suction Valve – Inside, H.D.P.E. 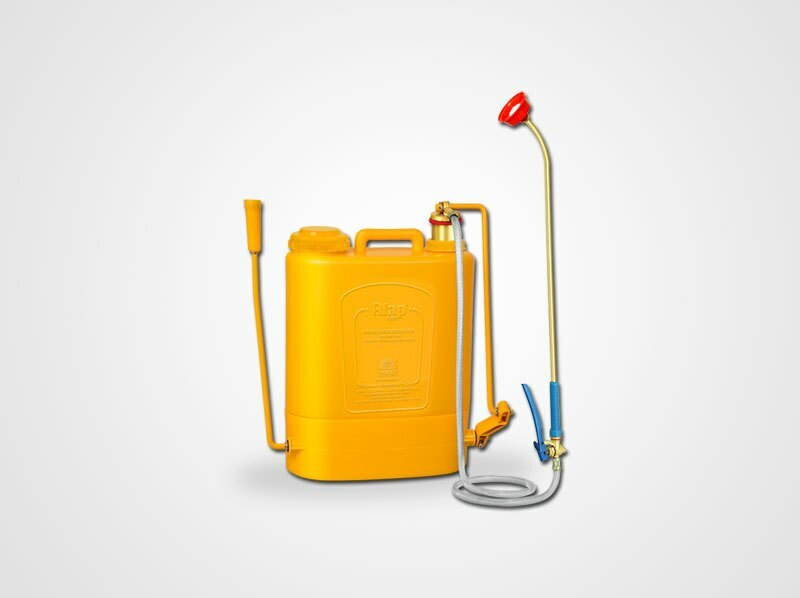 TANK : 16Liters Capacity Pump develops sufficient pressure in the pressure chamber for better liquid displacement. Pump is centrally situated outside the tank. Bigger filler hole of the tank facilitates better cleaning after use. Easy operated & Comfortable : It is Light Weight that anybody, even woman or old man can use, Smooth in operation and its anatomically designed for greater operator comfort during long hours of use. It has comfortable back-rest cushion to rest on operators back. Comes with adjustable shoulder strap. It can be operated with left or right hand pump lever action. Movable grip is provided in the handle for better operation. Quality : Its tank is blow molded from virgin material (H.D.P.E.) for perfect strength necessary for high reliability. All the brass parts are made from higher quality brass. A.S.O. 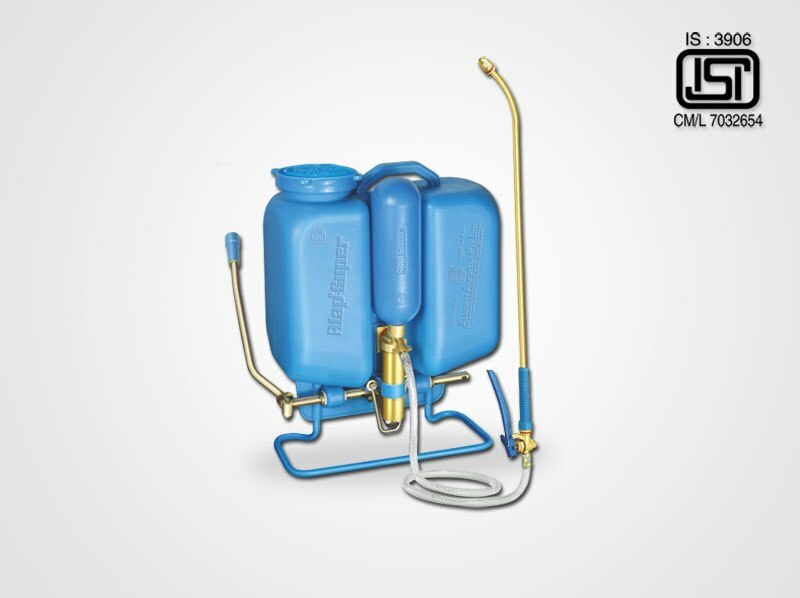 Category : Hand Operated Knapsack Sprayer It is an ideal sprayer for pest control in all field crops. HDPE Tank - 16 litre capacity. Outside HDPE pressure chamber. Pump develop sufficient and continuous pressure. Option for right or left hand operation. Stand is powder coated to against corrosion.